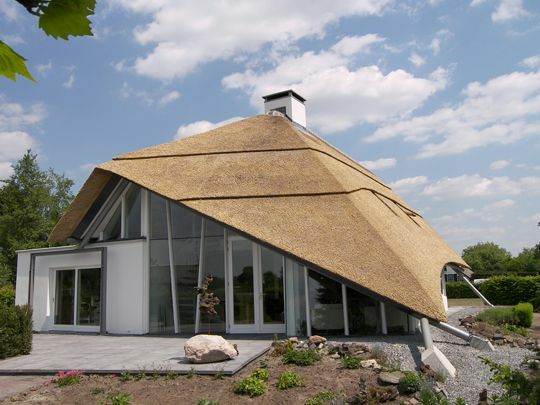 Detached house at Hoogland (Architect: Rik Lagerwaard). The energy consumption of buildings is largely determined by lighting and heating. For example, increasing the incidence of daylight and limiting the dissipation of heat in the winter enables significant savings in energy consumption to be made in the use phase. Energy consumption of small, medium and large buildings, by use: cooling, equipment, lighting, heating and warming up of the building mass.